This article explores openings for re-subjectification in a case of a house squat for free culture. Combining Lacanian discourse theory and the ‘ontology of political possibilities’, I explore how political subjectivities might (trans)form during such a process. 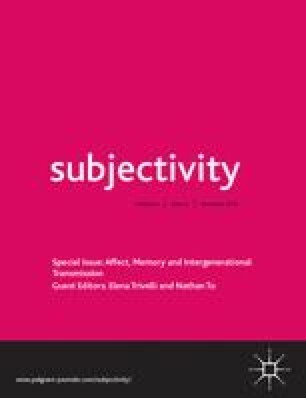 Through interviews with participating squatters, the analysis suggests that this theoretical and methodological framing can capture moments of re-subjectification that are often overlooked. Via the performance of democratic values, a community knowledge became embodied in the subjects, which arguably carries the possibility of a redirection of desire, away from individualism and towards cultivating their political subjects towards communality. The squat can be read as a process of cultivating a shared identification with, and desire for, commonality, democracy and the possibility of a different relationship with the participants’ political lives. This analysis thus contribute to acknowledging openings for re-subjectification in cases that at first glance are dismissed as failures. Lokstallarna closing statement. https://www.facebook.com/umeakulturhus. Accessed 27 September 2016. Facebook post, Lokstallarna, https://www.facebook.com/umeakulturhus. Accessed 30 August 2014. Žižek, Slavoj. 2005. Some politically incorrect reflections on violence in France and related matters. www.lacan.com/zizfrance.htm. Accessed 15 January 2019.